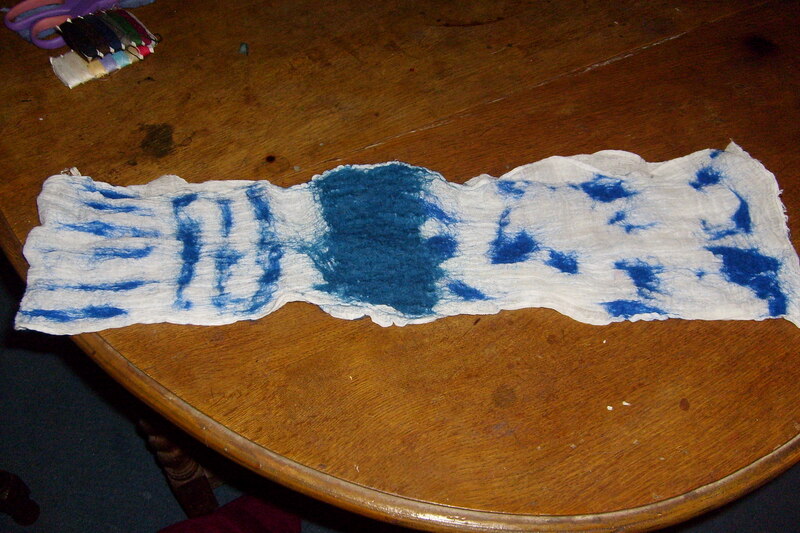 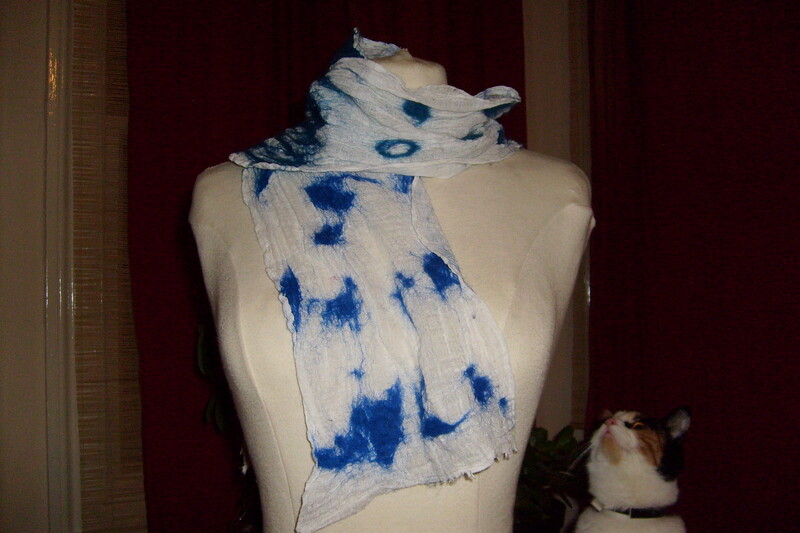 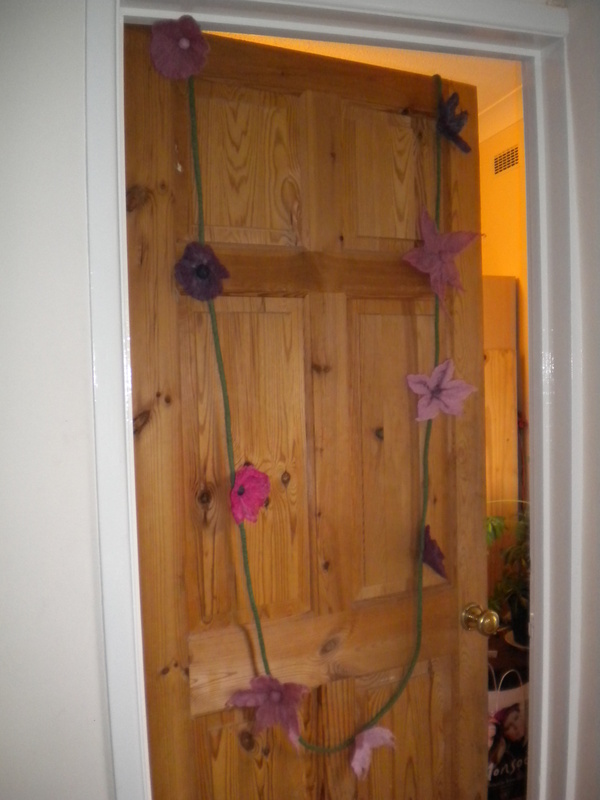 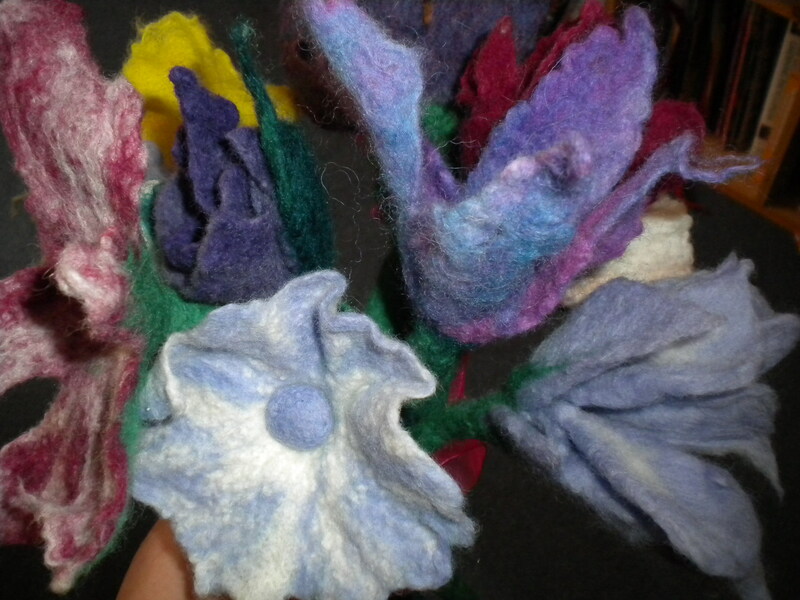 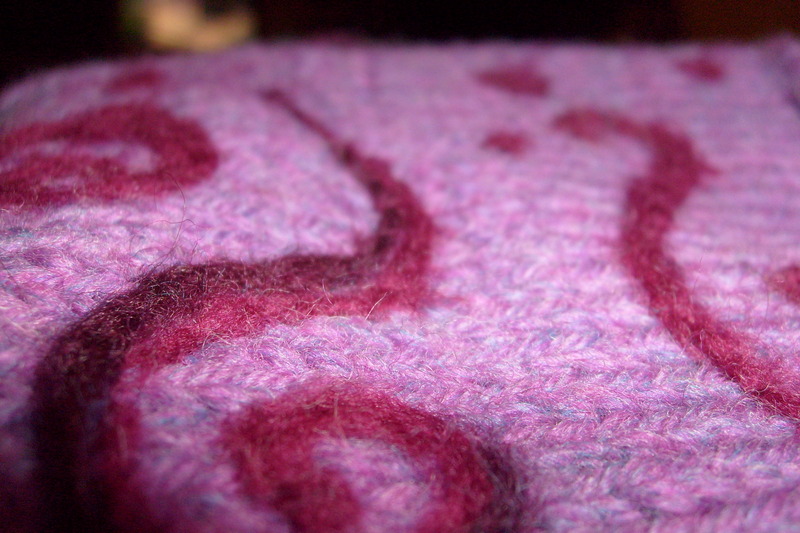 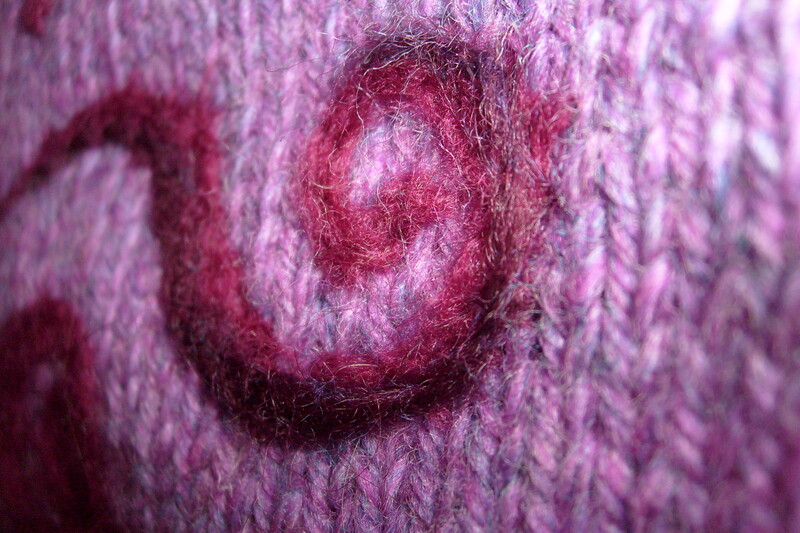 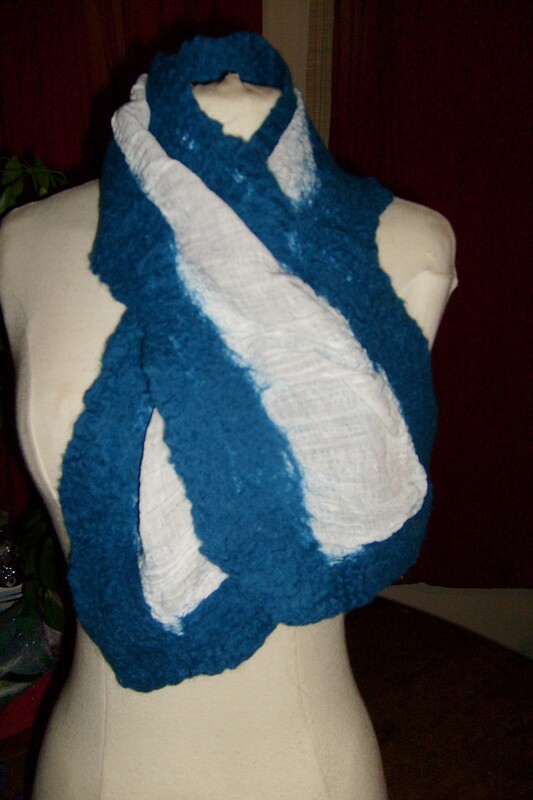 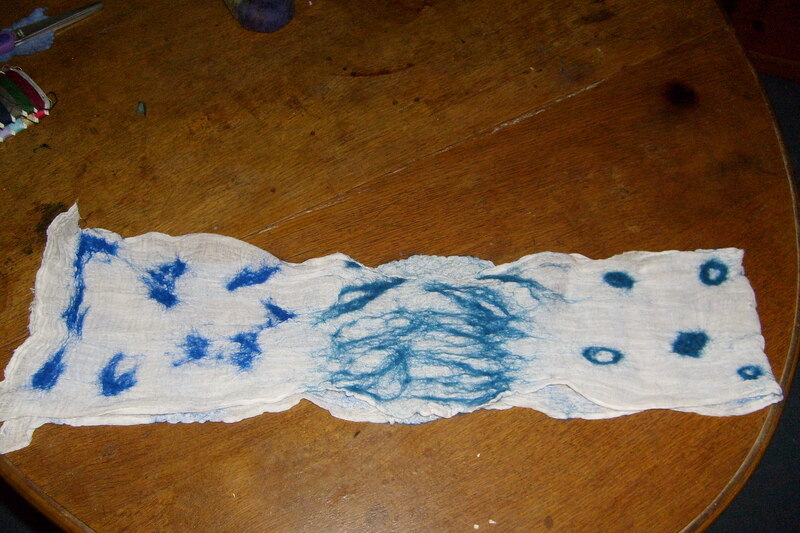 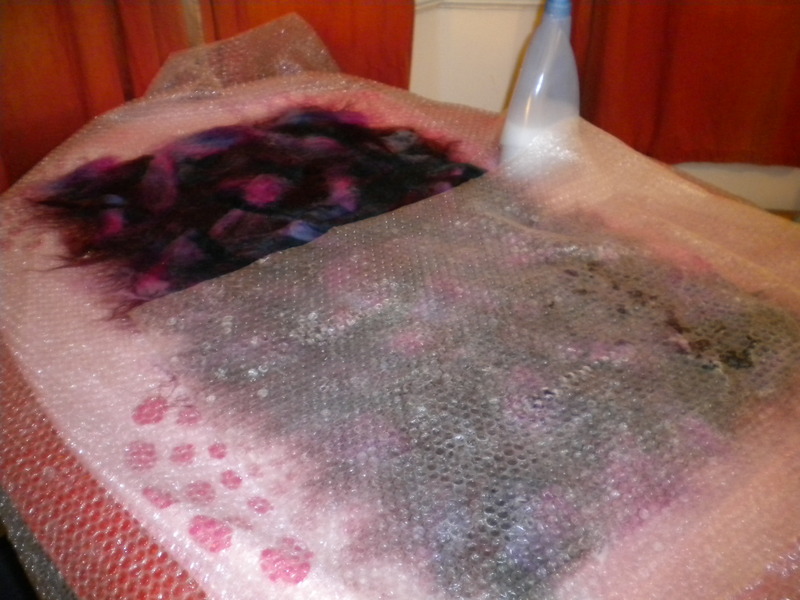 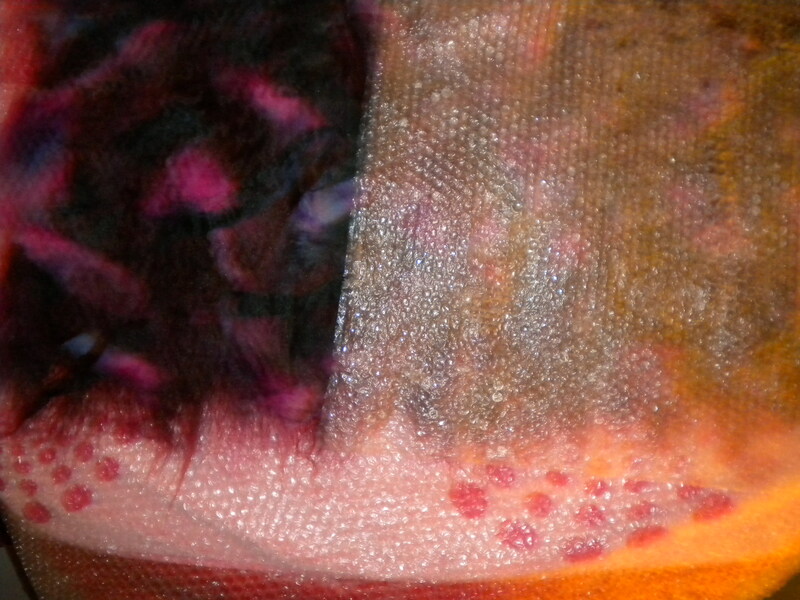 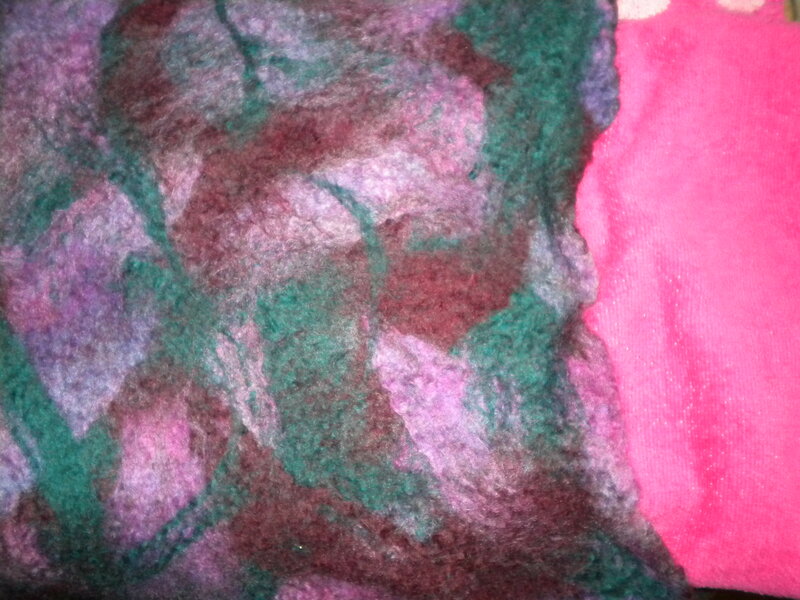 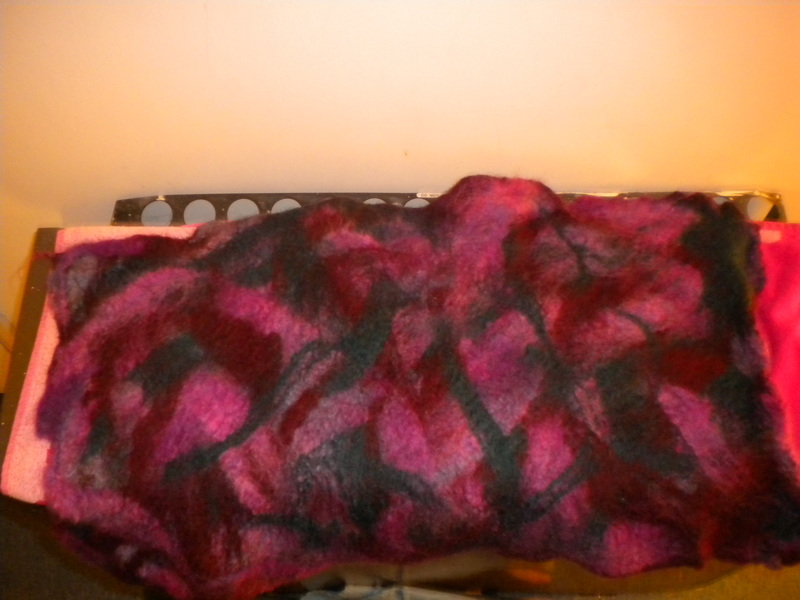 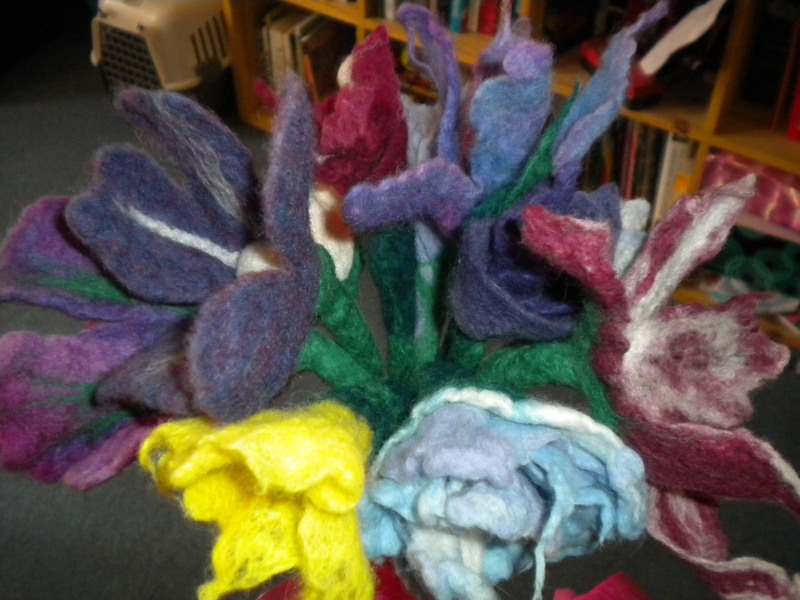 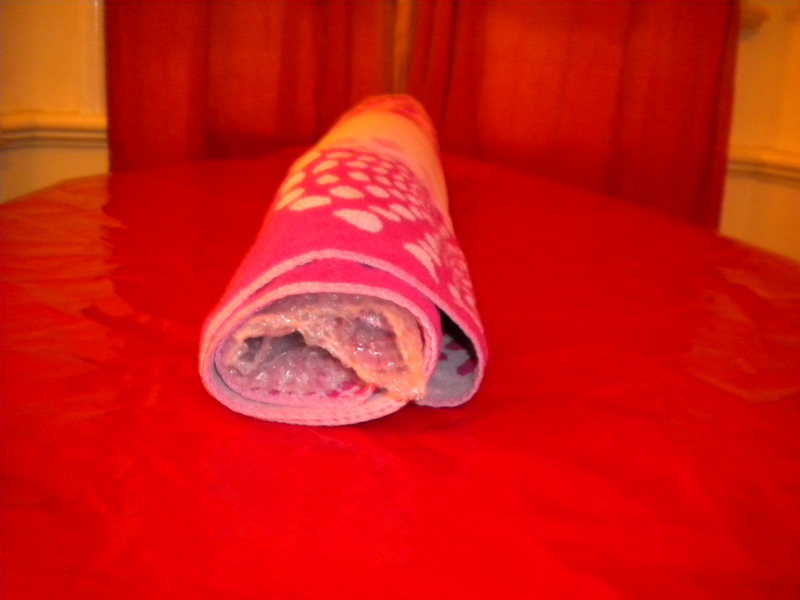 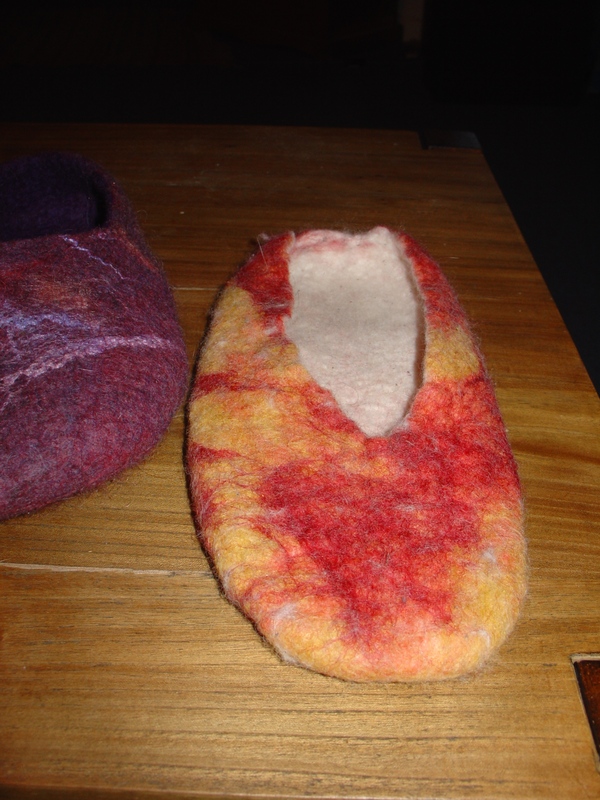 You are currently browsing the tag archive for the ‘Felting’ tag. 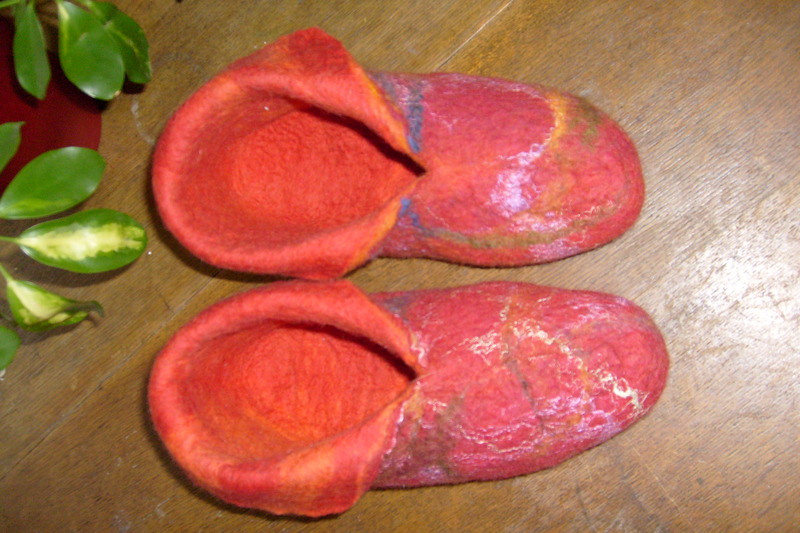 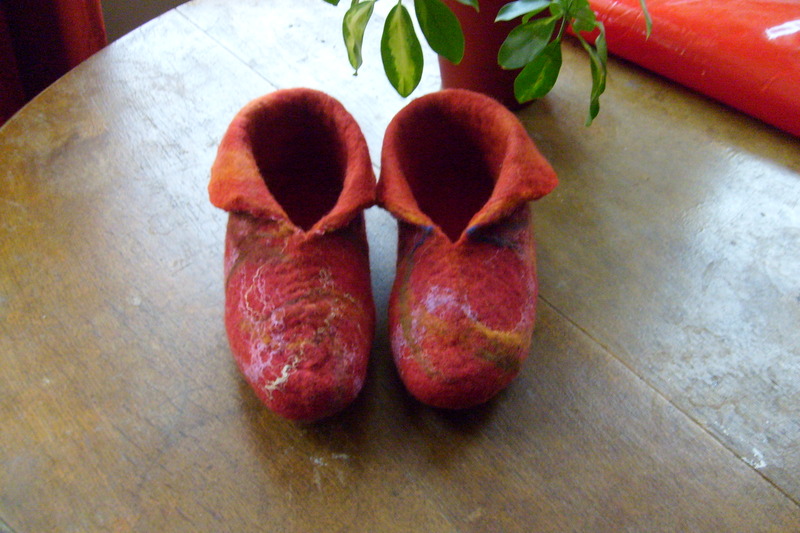 My Mum came to visit recently, so naturally I tried making some boot shaped wet felted slippers for her! 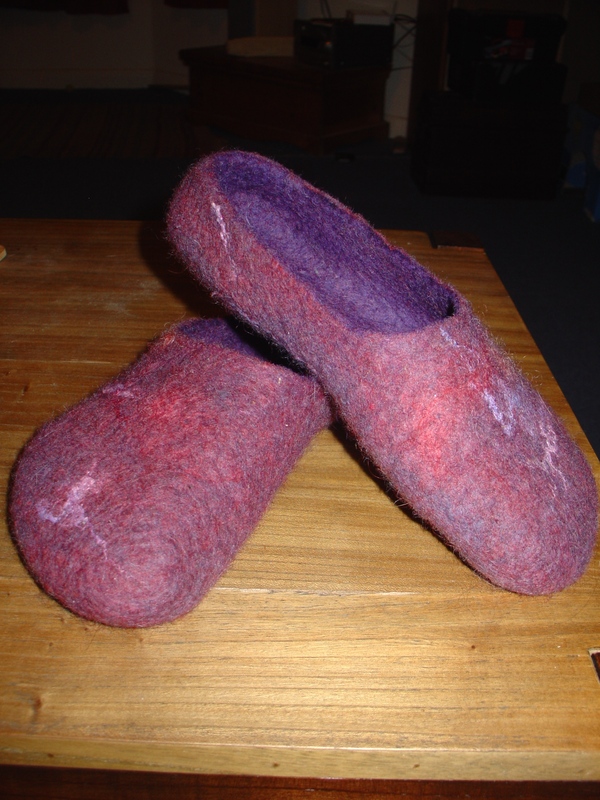 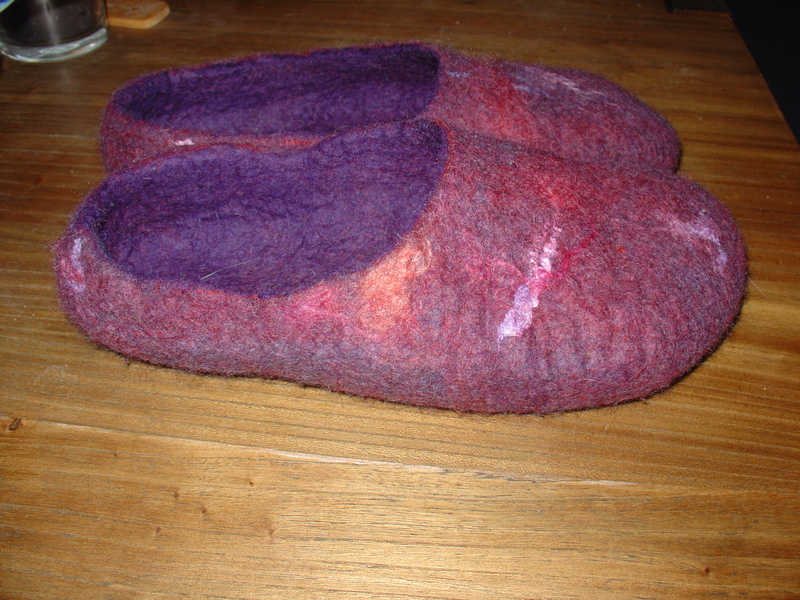 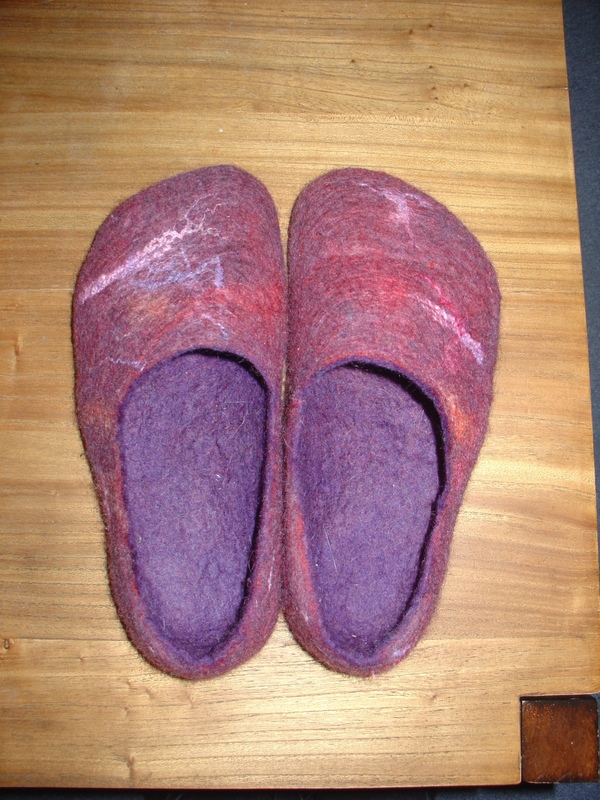 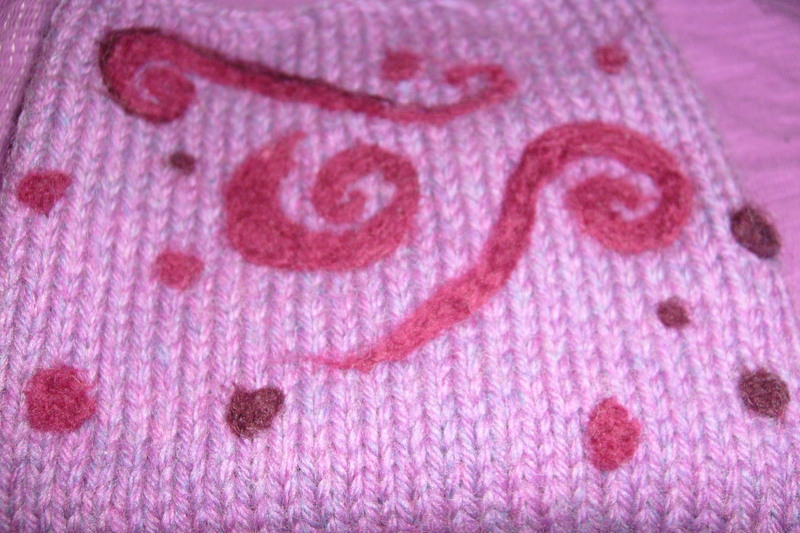 As with my last slippers they are merino inner and finn outer. 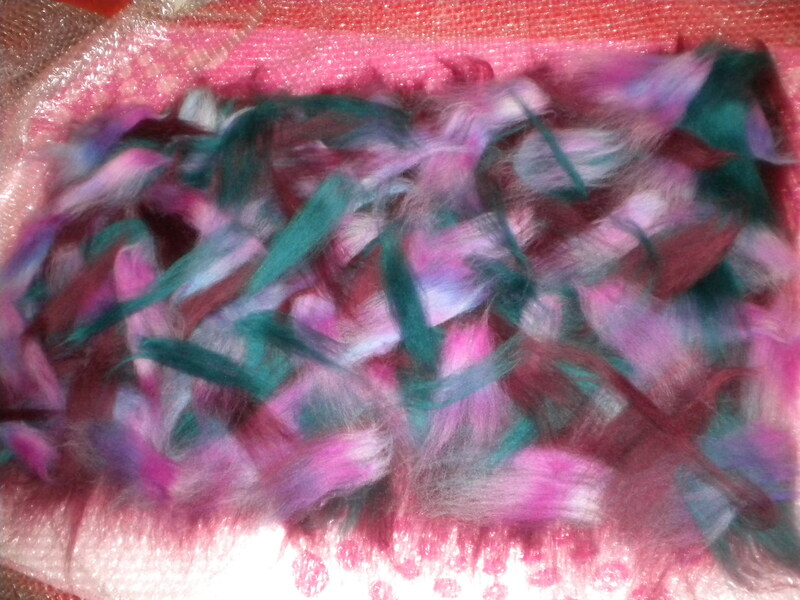 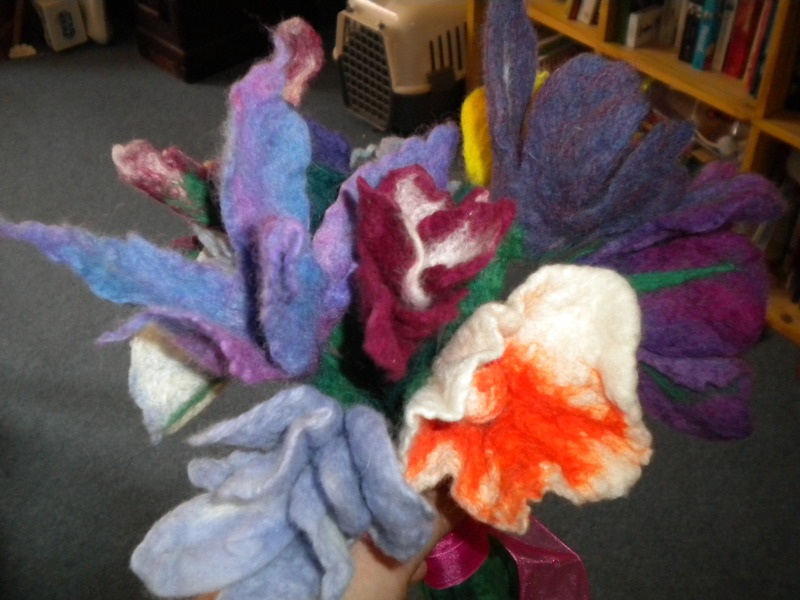 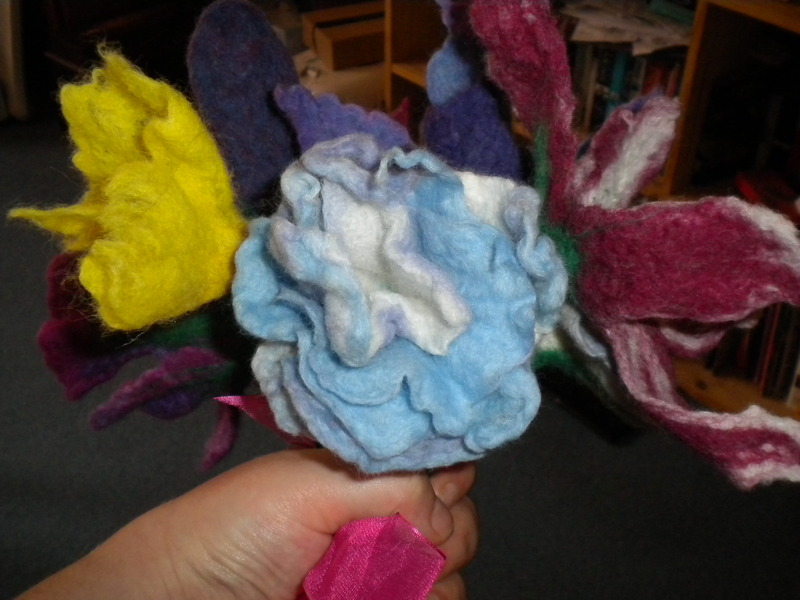 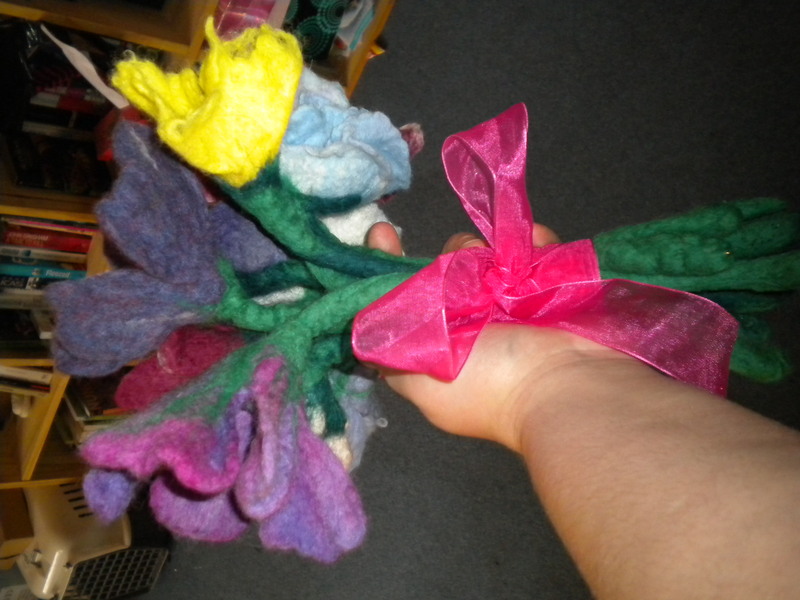 These ones are embellished with merino multicoloured pencil roving and multicoloured silk throwsters waste. 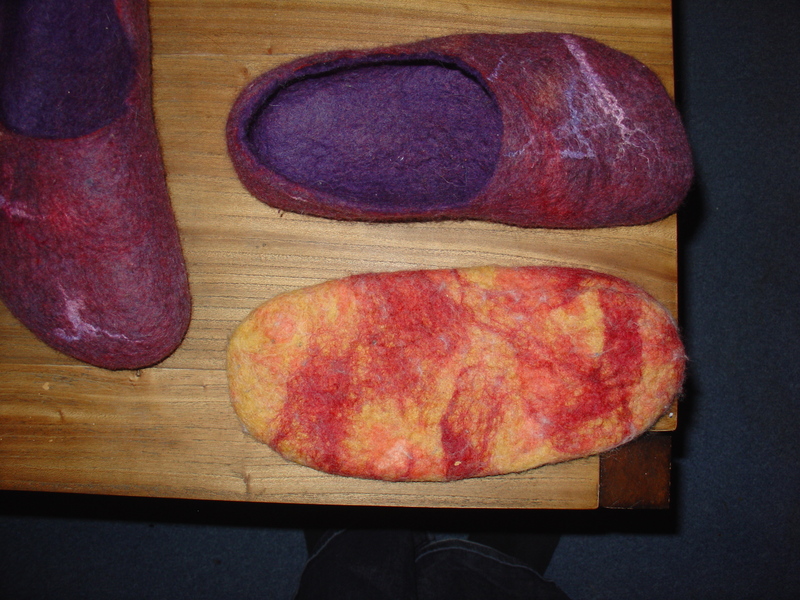 I have just edited my tutorial regarding this, but if you’re making your own be aware that if you want the slippers to fit further up your legs than the ones pictured, be generous in your allowance for width shrinkage.